Unbeknownst to most visitors, Las Vegas is home to a unique niche tourism: it is overwhelmingly the vacation destination of choice for residents of the state of Hawai'i, even affectionately termed the "Ninth Island." It is estimated that 1 in 10 residents of Hawai'i visit Las Vegas at least once per year. We believe that the answers to why Las Vegas looms so large in the Hawaiian cultural consciousness lie in neither racially deterministic, nor primarily economic, explanations, but rather in an analysis of the tourism imaginary embodied at Hawaiians' lodging of choice, The California Hotel, or "The Cal." Over the past 40 years, the interior of The Cal has been transformed into a sanitized reinterpretation of contemporary Hawai'i that has an intense gravitational pull for its people, comparable to an addiction. Whereas in Hawai'i, an idealized native past with coconut bras, ukuleles, and seductive, smiling native hosts is presented for tourists' consumption, the built environment of The Cal embodies a different Hawai'i, equally a fantasy, but in this case a fantasy of the multi-cultural present, unburdened by the unpleasant truths of either the real past or the real present. 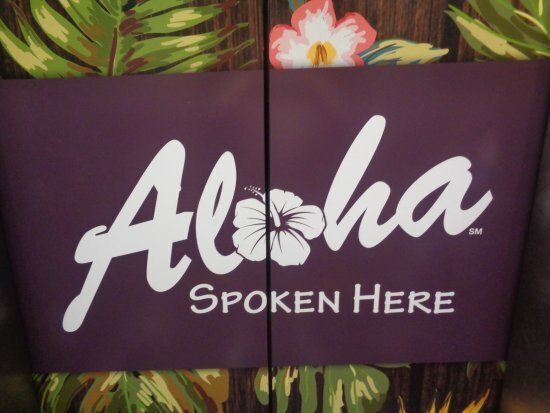 In this presentation we will explore the dynamics of Hawaiian hosts-turned-guests at The Cal through an analysis of the hotel's built environment and larger cultural context. Cynthia earned her MA and PhD from the University of California, Berkeley, where she researched the sociopolitics of Polynesian archaeology, ethnic identity, and narratives of cultural heritage. Since joining the Anthropology faculty at St. Mary's College of California, Cynthia has published on gender and household archaeology in Hawai'i, the use of practice theory in archaeology, and mentorship/learning in academia. Our current "Hawai'i Vegas" project builds on her long-standing interests in how narratives of the past (real or imagined, hegemonic or countering) are used to construct identity in the present, particularly in ethnically diverse Hawai'i. Before joining the Anthropology faculty at St. Mary's College of California, Dana earned her MA and PhD from the University of California, Davis, where she conducted ethnographic research on the intersections of race, gender, and religion with political affiliation in the Philippines. Since, her research has included identity construction in online gaming communities, first generation to college students, and the Filipino diaspora in Central Europe. Our current "Hawai'i Vegas" project builds on her long-standing interests in the economics of tourism and globalized patterns of ethnic migration/movement, particularly among ethnically diverse Asian communities.